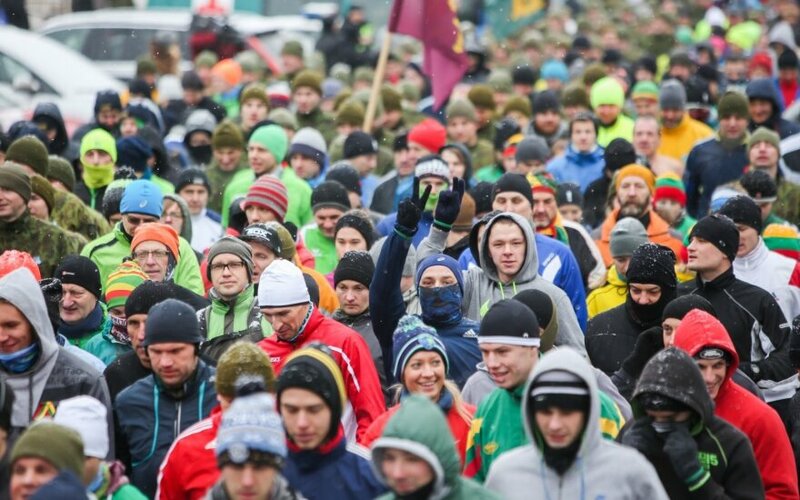 To celebrate the 25th anniversary of the events of January 13th, 1991, a commemorative international marathon called "On the road of life and death" was held on Saturday in Lithuania and in capital cities all over the world. In Vilnius, a nine-kilometre run started at Antakalnis cemetery where the victims of January 13th are buried, and ended near the television tower. Lithuanian diplomats along with runners from Lithuania and foreign countries put flowers on the graves of those who were killed. Numerous employees from the Ministry of Foreign Affairs participated in the run. The ministry‘s runners club team was joined by foreign diplomats resident in Vilnius. The Japanese embassy had the most runners participating in the event, but representatives from the US, Poland, Ukraine, Azerbaijan, Sweden, Russia and many other countries participated in the run. On the same day, more than 150 Belgian Lithuanians and friends of Lithuania from foreign countries took part in the commemorative run for the third time in Brussels. There was a record number of EU and NATO institutions’ representatives on the Brussels run, symbolically supporting the run held in Vilnius. Berlin Lithuanians also paid tribute to the defenders of freedom of Lithuania by running a nine-kilometre long run from the obelisk for the March 11th at the Charlottenburg park to the Brandenburg Gate and the nearby Lithuanian Embassy. Commemorative runs to remember the defenders of freedom were also held in Madrid, Dublin, London, New York, Stockholm, Paris, Sao Paulo and other cities. In Madrid the run was held for the first time with Lithuanians, Spaniards and a team from the Estonian Embassy participating in the event. The annual run was first held in 1992 to commemorate the first anniversary of January 13th. 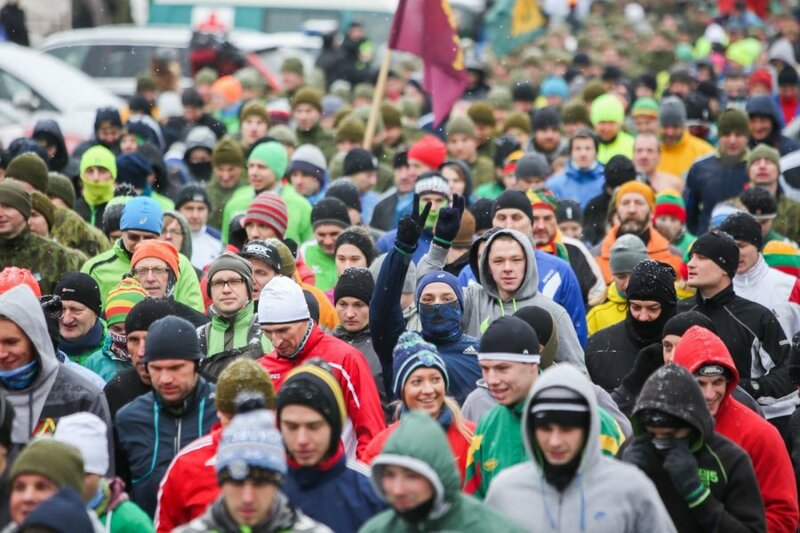 The race is organised and run by the Vilnius Lithuania amateur runner association together with the Ministry of Defence and the Lithuanian army.